I still remember the first time I drove by Biondi-Santi’s Il Greppo estate. 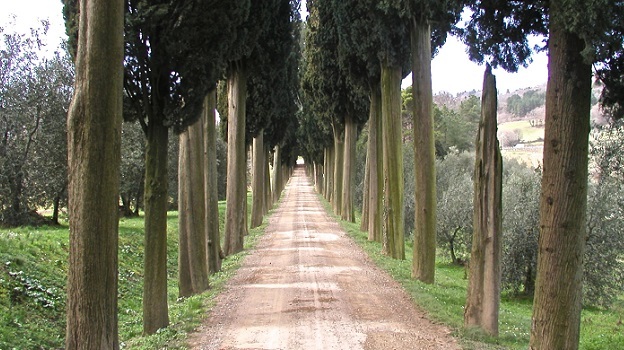 That driveway, the neatly manicured cypresses and the barely visible buildings in the distance - they all spoke to a mystique of the seemingly unattainable yet alluring that has informed the Biondi-Santi Brunellos for well over a hundred years. Biondi-Santi is the royal family of Montalcino. The Biondi-Santis have been cultivating grapes and making wine here since at least the mid-1800’s. In the late 1800s, Ferruccio Biondi-Santi, the son of Clemente Santi and Jacopo Biondi, isolated a clone of Sangiovese, known today as Sangiovese Grosso, and began vinifying it on its own, without white grapes, as was then the custom. In doing so, Ferruccio Biondi-Santi invented the wine known today as Brunello di Montalcino. Thus begins the modern-day history of Montalcino’s most famous wine. A little additional context is in order. 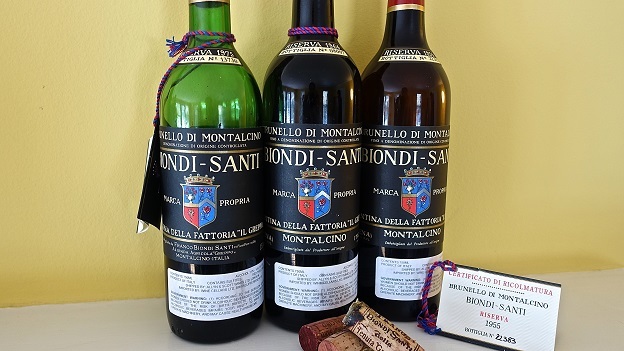 Biondi-Santi’s Brunello won awards, was served at important state events and had gained international recognition well before most of the Montalcino estates we know today even existed. It’s hard to imagine, but back then, Montalcino’s most famous wine was the sweet Moscadello di Montalcino and not Brunello. For most of the last several decades, Il Greppo was managed by, Ferruccio’s grandson, Franco Biondi-Santi. 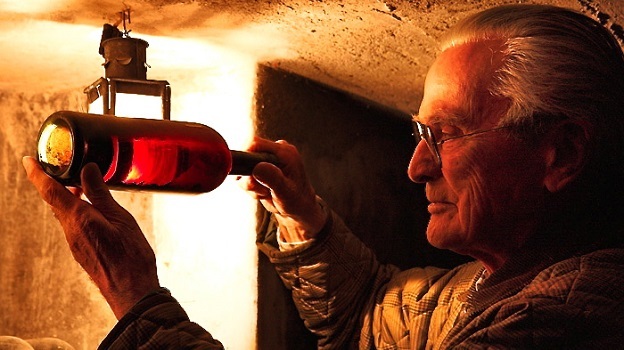 It’s still hard to believe that Franco Biondi-Santi, the patriarch of Montalcino, passed away in early 2013. Every time I visit Il Greppo I expect to see him, but of course it never happens. Always calm, relaxed and impeccably dressed, Biondi-Santi exuded a warm, welcoming personality informed by an aristocratic cordiality from a long-gone time. Visitors were brought into a sitting room for a leisurely chat, after which Biondi-Santi would lead the way into the cellar. For all the years I knew him, when his health allowed Biondi-Santi always conducted the tastings himself, meticulously instructing his cellar workers as we moved from cask to cask. Today, the rich legacy of the estate has passed on to Jacopo Biondi-Santi, Franco’s son, who had to wait until he was a grown man to inherit the family’s crown jewel. This tasting was remarkable on so many levels. For starters, the seven vintages encompassed most of, if not all, the widely recognized Biondi-Santi benchmarks. All the bottles were sourced directly from the Biondi-Santi family’s personal collection. Specifically, these wines were part of a stock that was sold following the passing of Franco Biondi-Santi and that is now in the market. 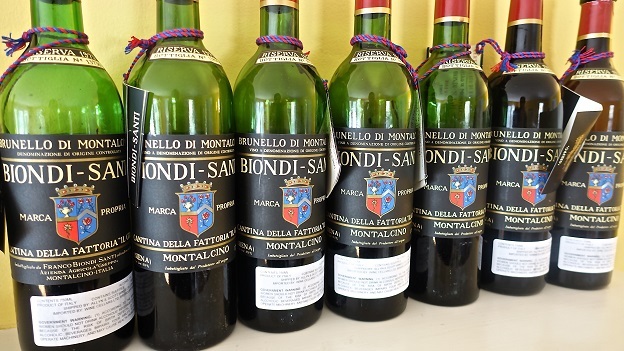 As Biondi-Santi fans know, each year the estate reconditioned a number of their older wines, topping off old bottles and replacing corks, as is done in Bordeaux from time to time. The documentation accompanying these bottles is impeccable. The Biondi-Santi Brunellos are known for their sense of classic austerity, and, above all else, their ability to age. Indeed, even at 30, 40 and 50 years of age, the wines retain searing acidity and considerable tannin. Italian wines in general are meant for the dinner table, and that is certainly the case here. The flagship Riserva is sourced from the estate’s oldest vines, which sit at 500 meters above sea level on soils that consist mostly of galestro, a mix of rocks and sand that is characteristic of certain spots in Tuscany. 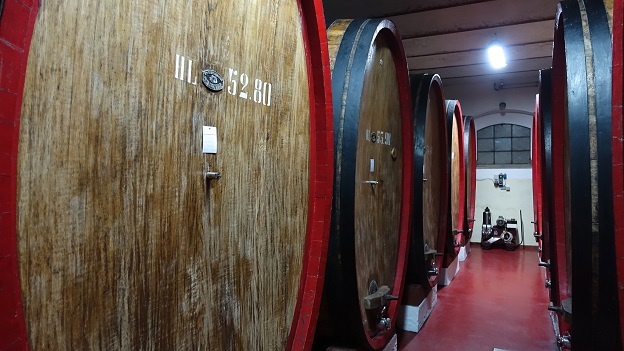 The Riserva is fermented in wood uprights and aged in neutral oak casks. During the era in which these wines were made, the malolactic fermentations were spontaneous and mostly occurred in the spring following the harvest. Stylistically, these fine, mature Riservas show the wilder, more powerful side of Sangiovese. There is a point at which wine stops being wine and transforms into history. That is very much the case here. The 1975, from a vintage that at the time was considered very hot and ripe, is fabulous. It has also aged impeccably. Seemingly ageless and super-expressive, the 1964 is my own personal highlight. Most Biondi-Santi fans would place the 1955 at the top of the heap. While it is certainly a very fine Brunello, on this day, the competition is very stiff. Still, these are pretty small critiques for such evocative, vivid wines that have the ability to transport the taster back in time. The 1975 Brunello di Montalcino Riserva is dark, powerful and intense, with gorgeous depth and fabulous resonance. Dusty black cherries, smoke, spices, tobacco, game and earthiness flesh out in a broad, ample Brunello endowed with magnificent depth, power and intensity. Bright veins of acidity give the finish an extra kick of salinity, but overall this is a dark, brooding Brunello that shows the masculine side of Sangiovese. The textural impression is of unctuous and reminiscent of a demi-glace. The 1975 keeps getting better and better with time in the glass. There is no rush to drink the 1975. Well-stored or reconditioned bottles will drink well for another 10-15 years. This bottle was reconditioned on September 5, 2000. 96/Drinking window: 2015-2030. A wine of total polish and sensuality, the 1971 Brunello di Montalcino Riserva caresses the palate with dark red stone fruits, wild cherries, flowers, smoke, licorice and distinctly ferrous notes. The 1971 isn’t as big or powerful as the 1975, but it is a bit longer on the palate, more subtle and extremely refined. Crushed flowers, tobacco, mint and dried cherries linger on the silky finish. Although still quite fresh, I expect the 1971 will offer its best drinking over the next decade or so. 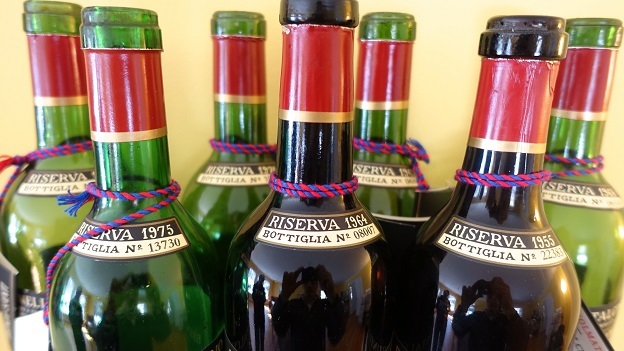 Tasted next to the 1975, the 1971 Riserva is quite a bit more feminine and delicate. It, too, only grows with time in the glass. Reconditioned June 14, 2001. 94/Drinking window: 2015-2025. The 1970 Brunello di Montalcino Riserva is a bit more forward in its aromas than flavors. Dark red cherry, plum, smoke, tobacco and licorice open up in the glass, but overall the wine is marked by slightly advanced aromatics. There is plenty of intensity and depth in the glass. All things considered, the 1970 has held up well, although the competition is stiff in this tasting. Reconditioned June 22, 2007. 89/Drink 2015. Biondi-Santi’s 1969 Brunello di Montalcino Riserva has aged gracefully. Dried flowers, mint, licorice, molasses, anise, brown spices, iron, game and tobacco grace the palate in a delicate, feminine Brunello that impresses for its overall balance and harmony. All the elements come together beautifully in the glass. The 1969 is now fully mature, although it has more than enough texture and Sangiovese acidity to hold on for another 5-10 years, perhaps a bit longer. The 1969 will always be more of a delicate Brunello with haunting, nuanced Sangiovese overtones and tons of personality. Reconditioned July 14, 2005. 93/Drinking window: 2015-2020. The 1968 Brunello di Montalcino Riserva comes across as a slightly more mature version of the 1975. Bold, pungent and explosive for a wine of its age, the 1968 offers up an intriguing mélange of wild herbs, dried flowers, lavender, smoke and dried cherries. This is another delicate, fleeting Brunello with compelling aromatics and nuanced, soft fruit, all supported by veins of bright Sangiovese acidity. Now fully mature, the 1968 is a wine to drink now and over the next decade or so. Put simply, the 1968 Riserva is everything a wine of this age and era should be. This is another super-impressive Riserva from Biondi-Santi. Reconditioned September 12, 2000. 94/Drinking window: 2015-2025. One of the highlights in this tasting, the 1964 Brunello di Montalcino Riserva is off the charts. Dark, deep and dense for a wine of its age, the 1964 impresses from the outset for its pure pedigree. A wine of raw, almost animal power, the 1964 explodes from the glass with huge fruit and tons of pure intensity for a 50 year-old wine. Smoke, graphite, game, tobacco, licorice and dark spices flesh out in an ample, full-bodied Brunello that exudes personality. Wild, gamy notes punctuate the boisterous finish. Biondi-Santi's 1964 Riserva is everything that Sangiovese in Montalcino is and can be. Reconditioned September 20, 1985. 97/Drinking window: 2015-2025. The 1955 Brunello di Montalcino Riserva is haunting in its beauty. The tannins have now fully softened while the acidity has been tamed with age. What comes through is a sweet, perfumed, Burgundian-inflected Sangiovese. Crushed flowers, sweet tobacco, mint, dried herbs and licorice are laced into the finish. The 1955 is a wine of extraordinary purity. Naturally at 60 years of age an after two reconditionings, there is likely to be some degree of bottle variation, but the 1955 remains unforgettable. This bottle was reconditioned and recorked twice; May 5, 1978 and June 3, 2000. 95/Drinking window: 2015-2020.